Arnim Zola is a supervillain who constructed his own body so he could carry out his evil plans. Now you can build your own Arnim Zola figure, with the parts that come with these cool Marvel Legends figures. 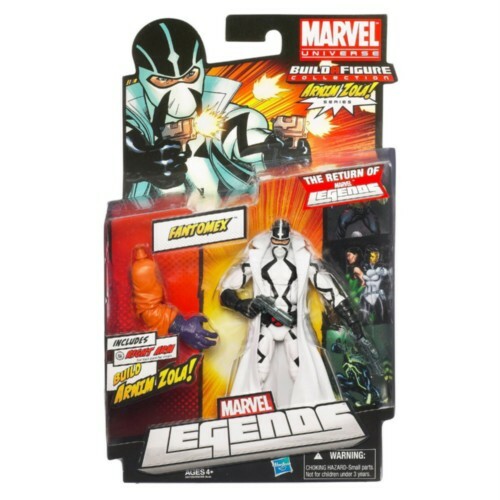 When you get this heroic FANTOMEX figure, you also get the right arm for your Arnim Zola figure. Collect all 6 parts (other figures sold separately) and complete the evil mastermind’s body. Figure is mint on card, ships immediately upon payment.SHIPPING IS FREE IN THE USA.